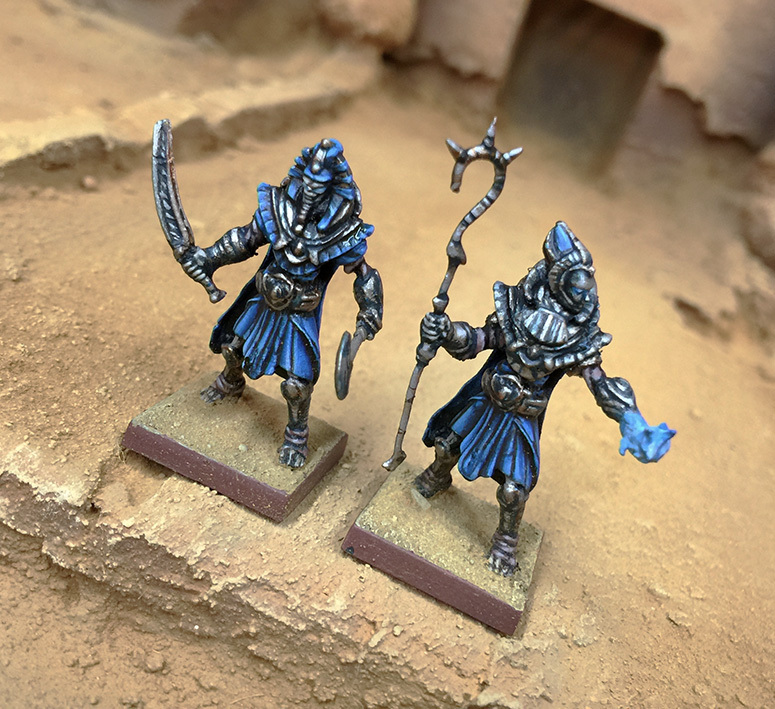 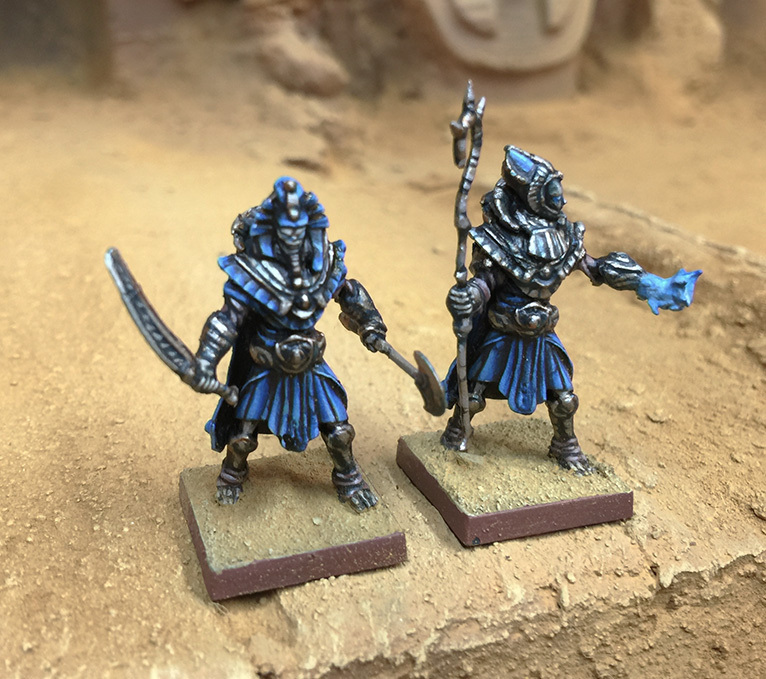 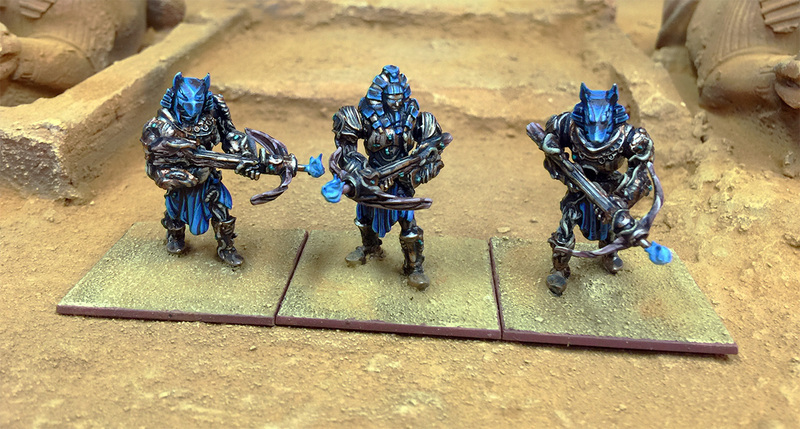 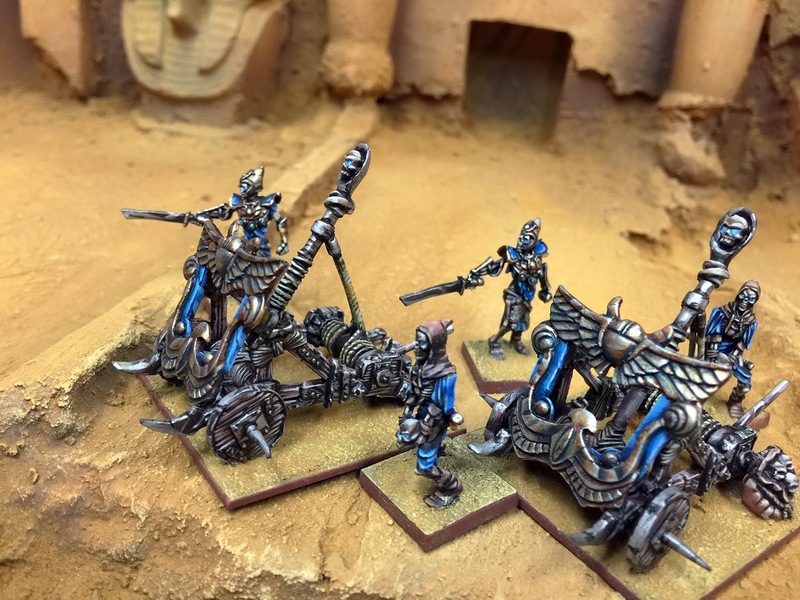 The latest addition to the gallery, the official Empire of Dust army for Mantic, which will be releasing for purchase soon. 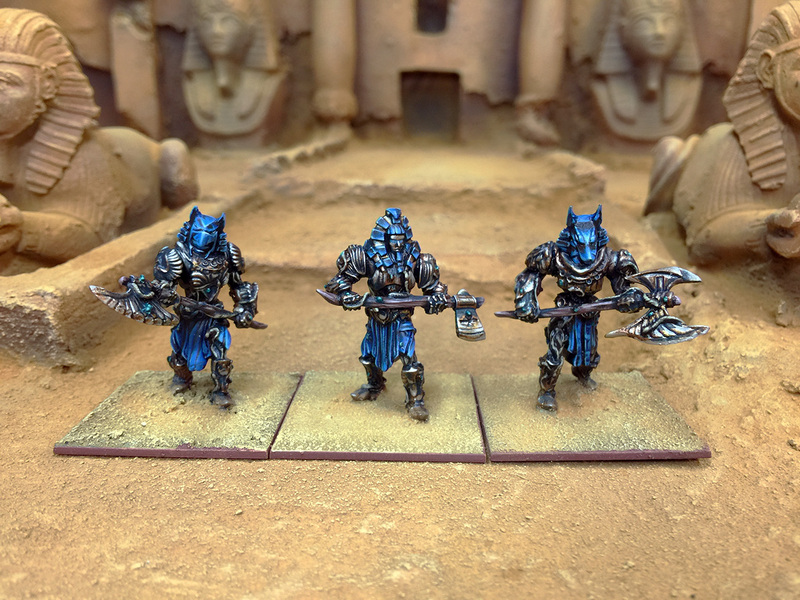 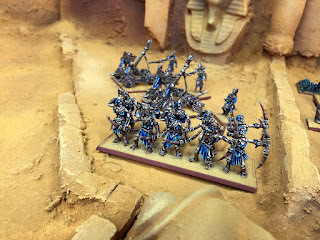 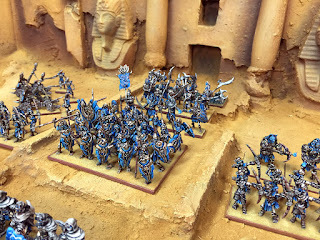 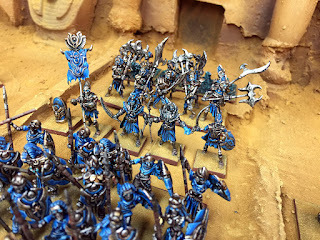 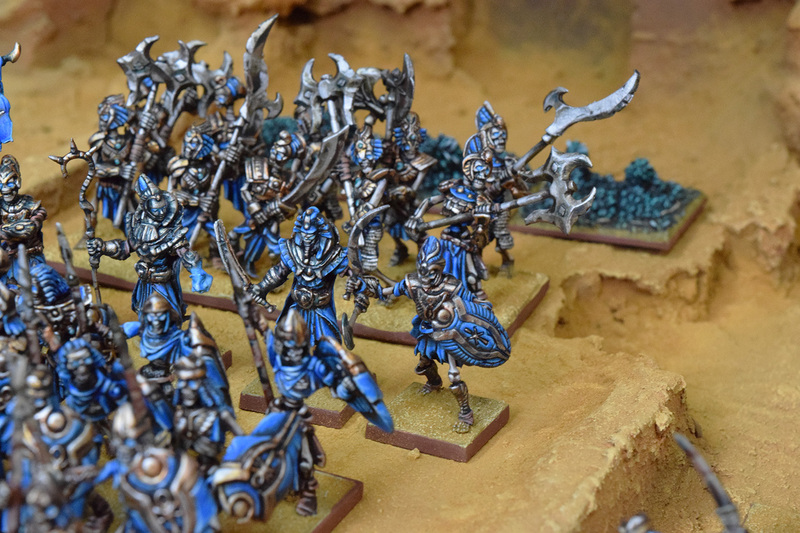 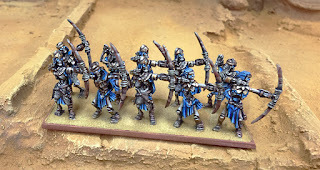 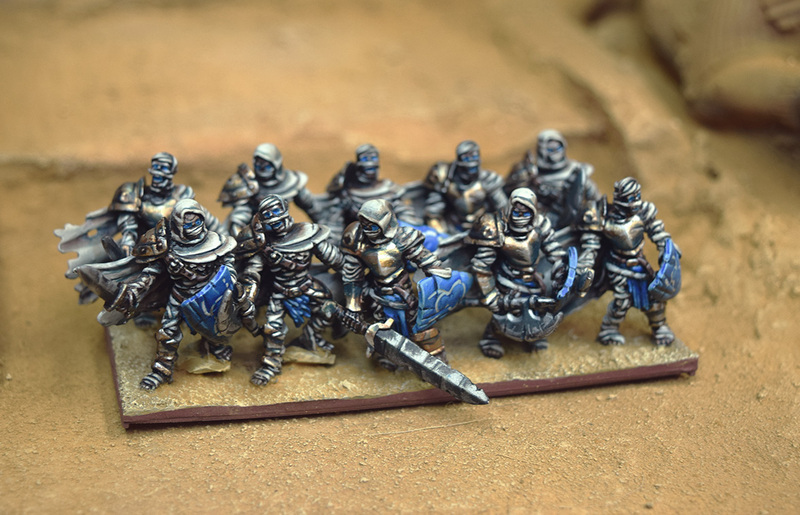 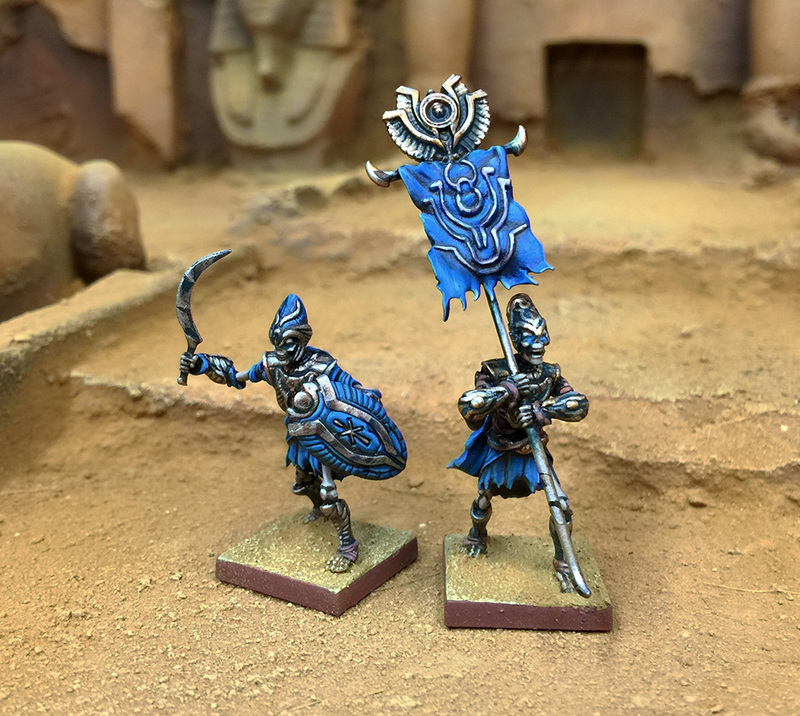 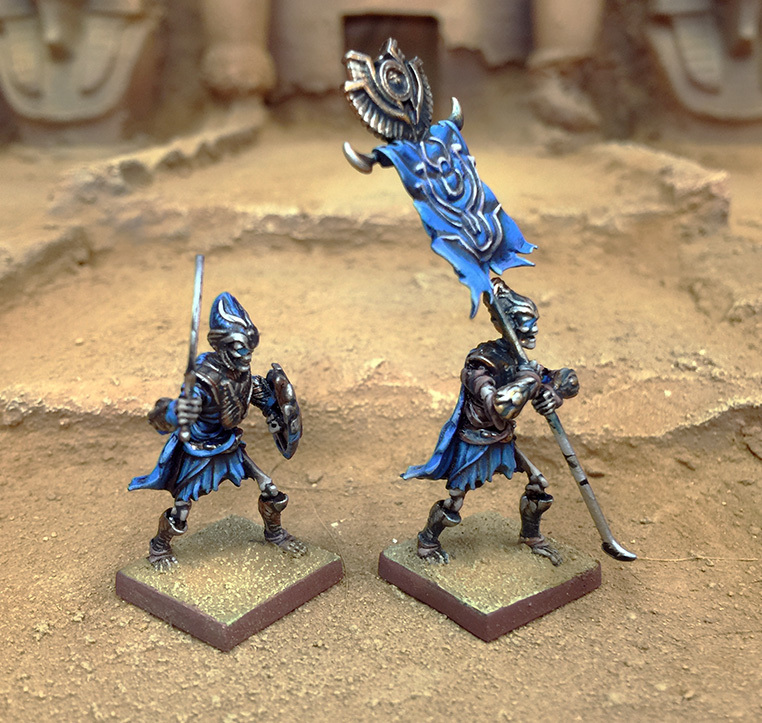 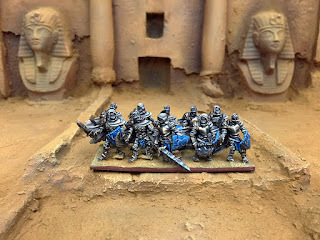 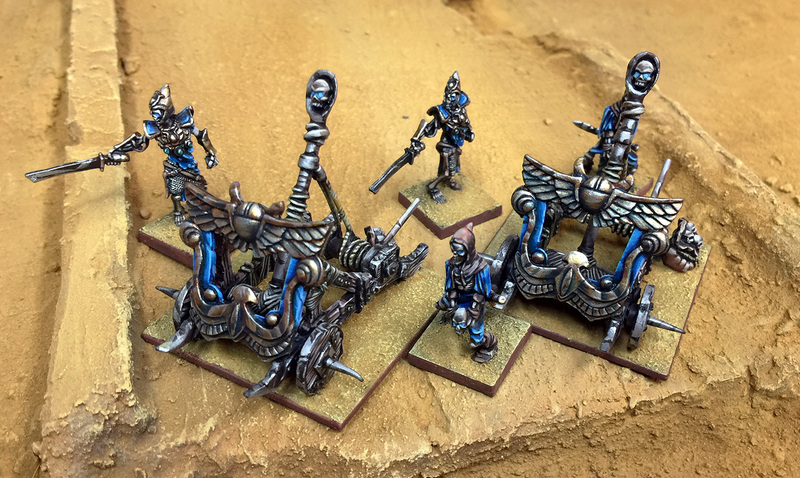 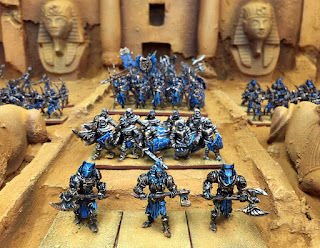 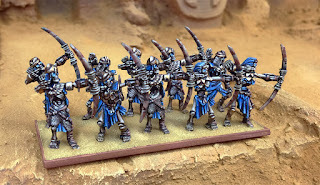 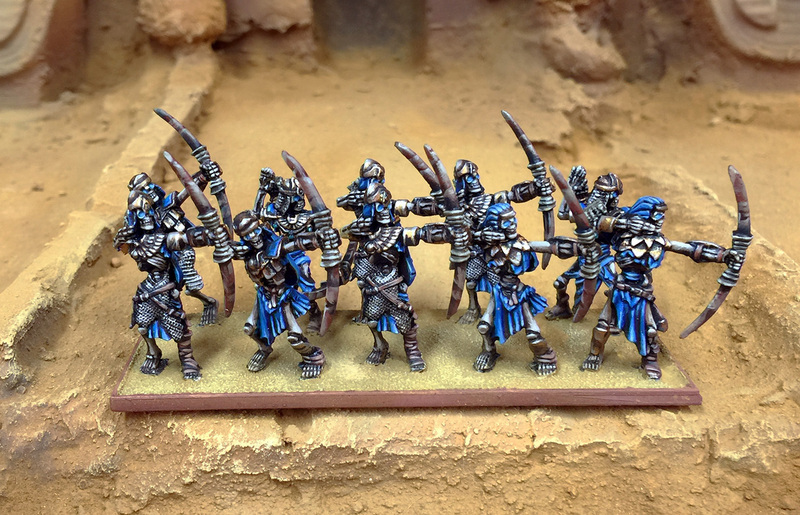 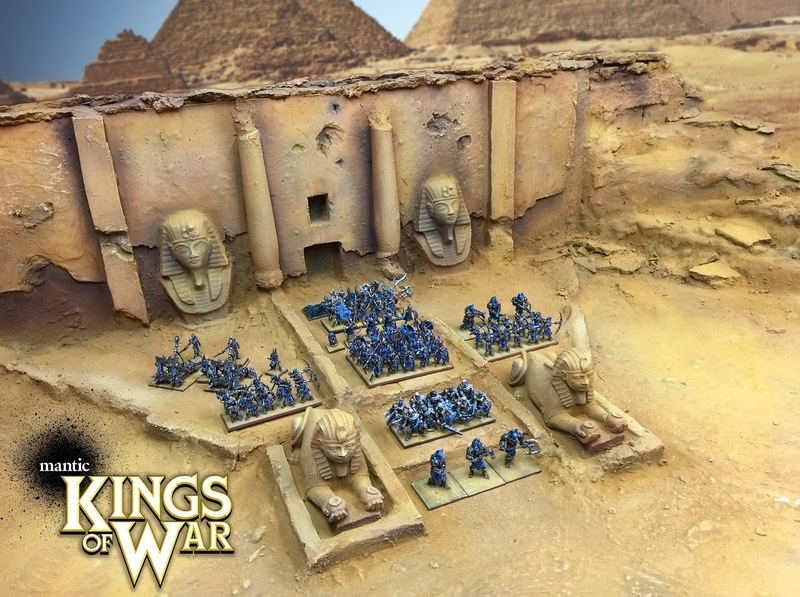 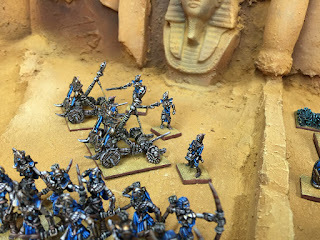 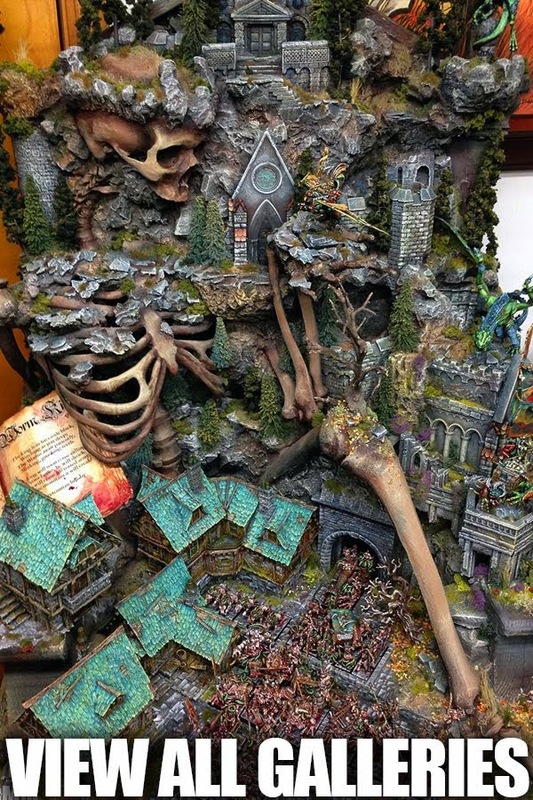 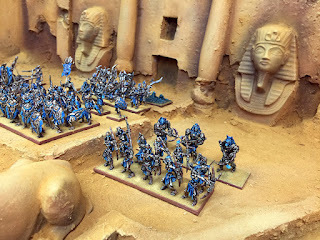 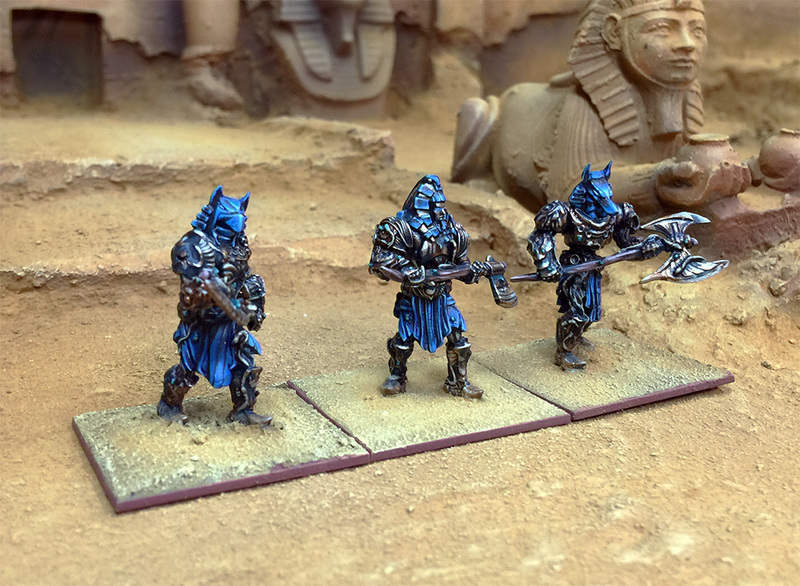 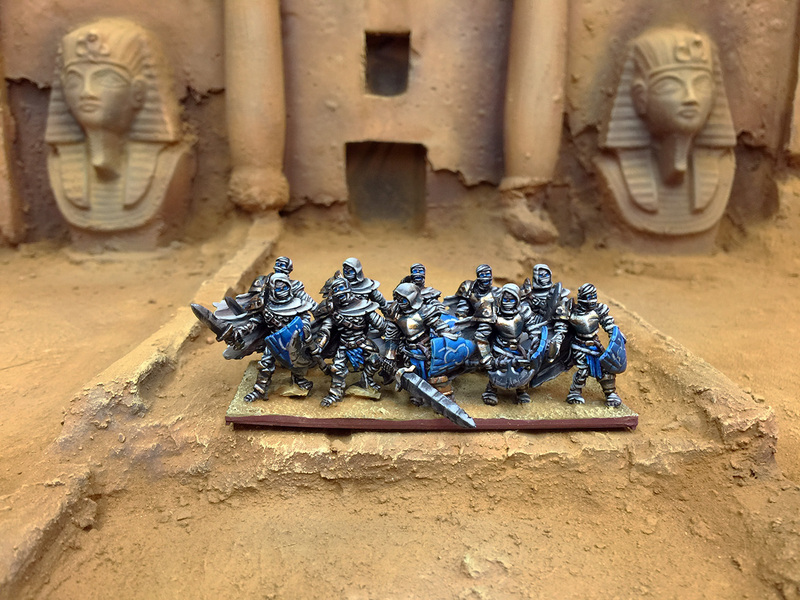 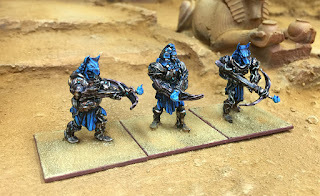 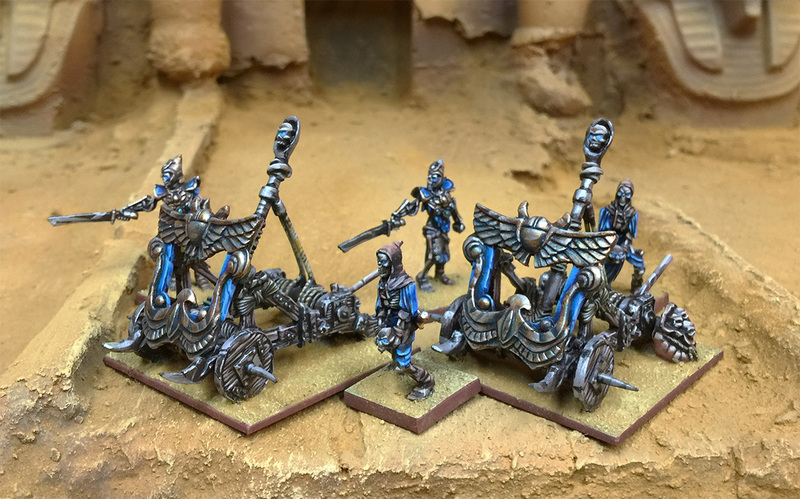 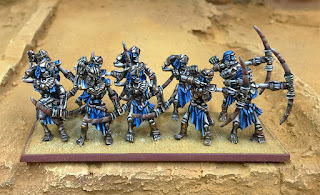 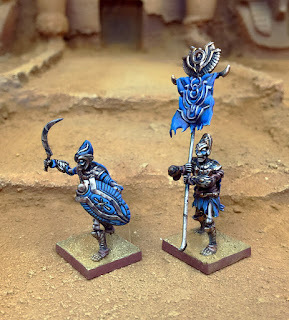 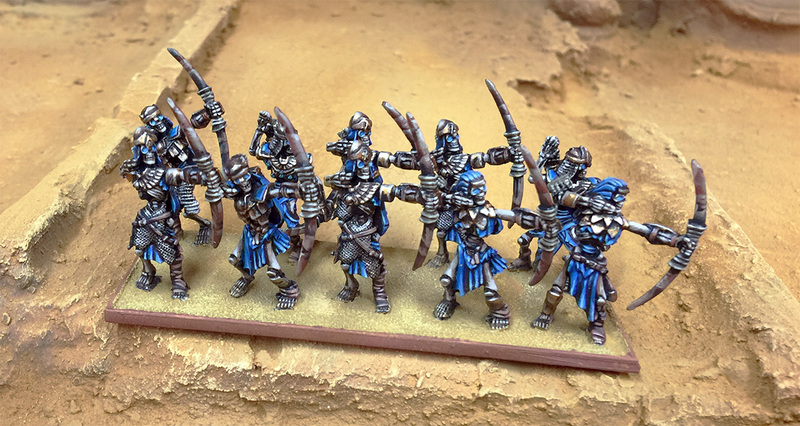 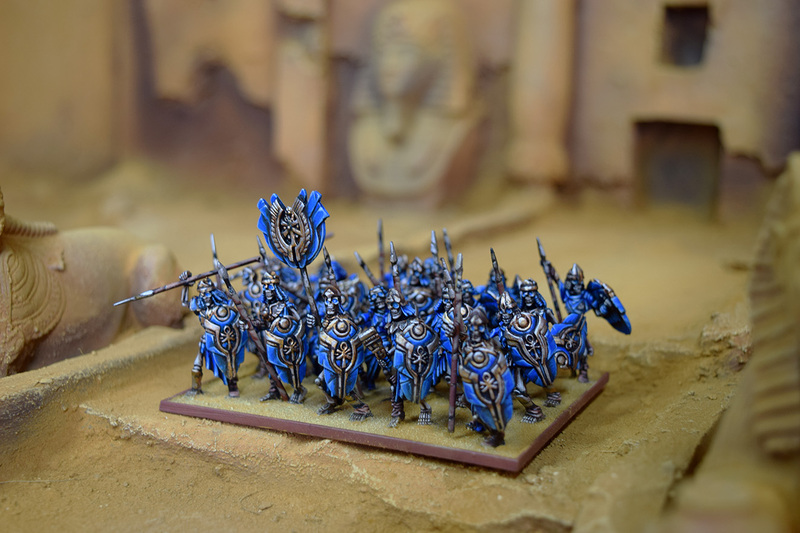 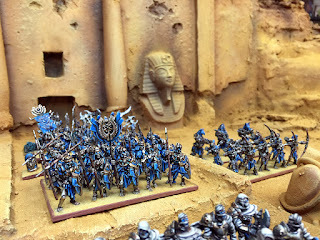 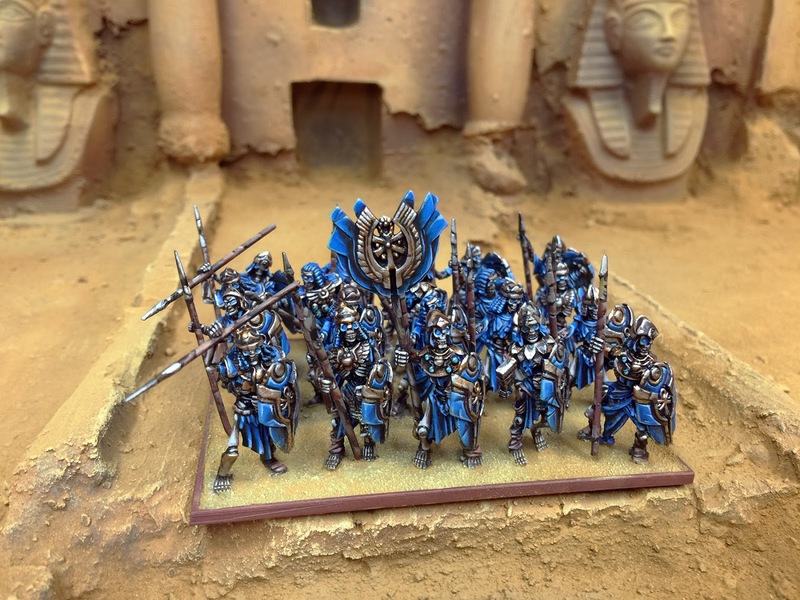 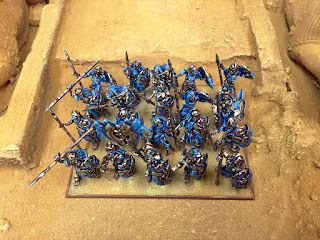 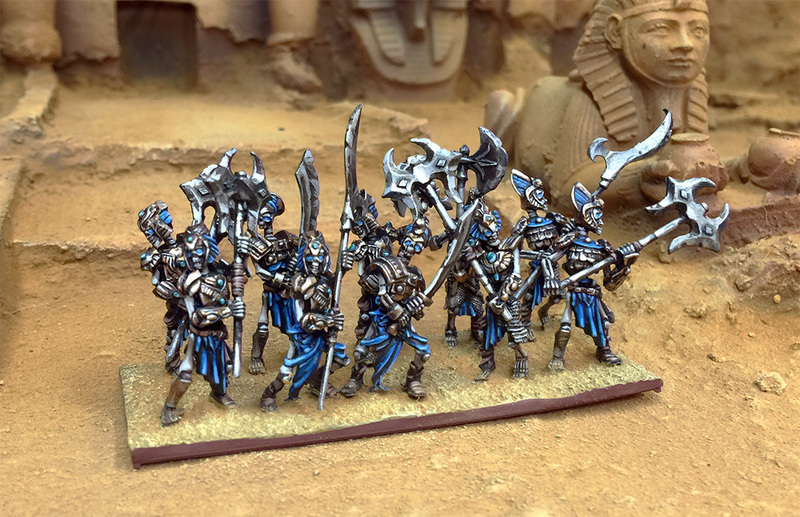 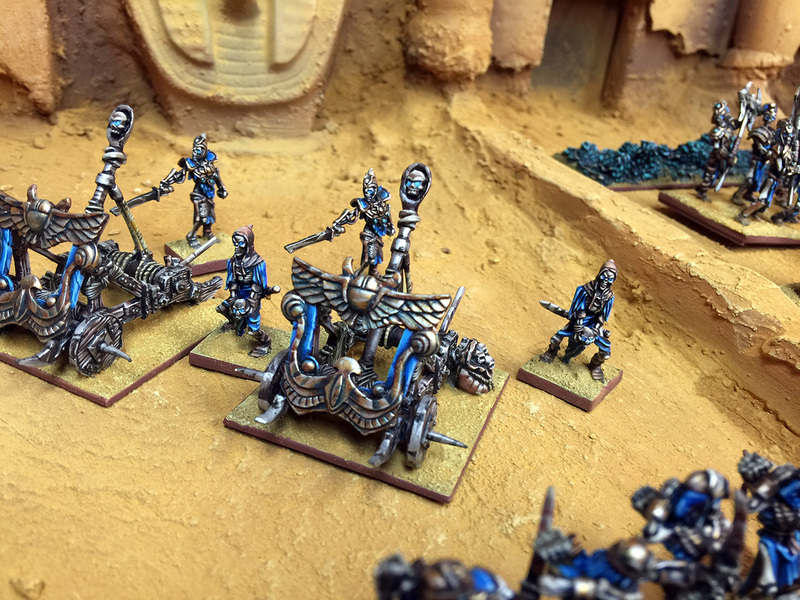 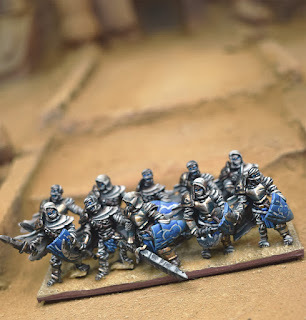 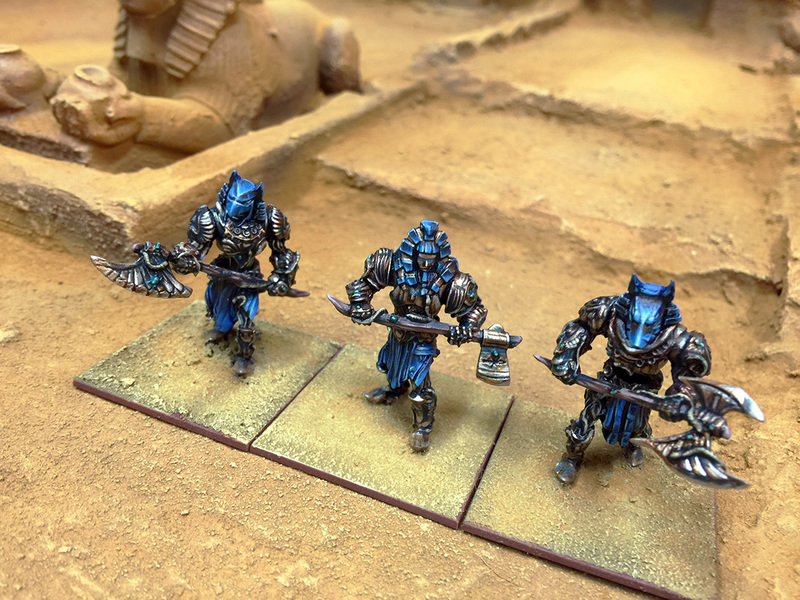 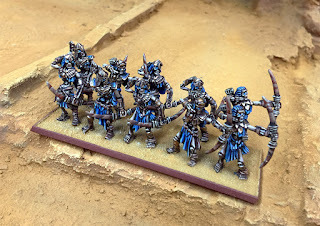 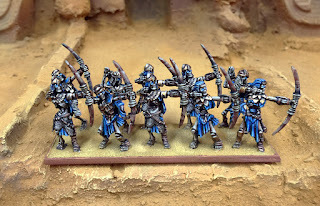 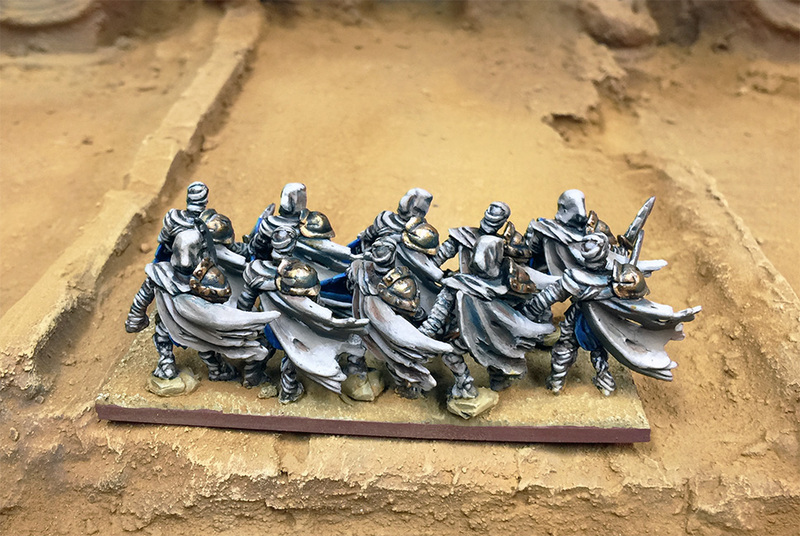 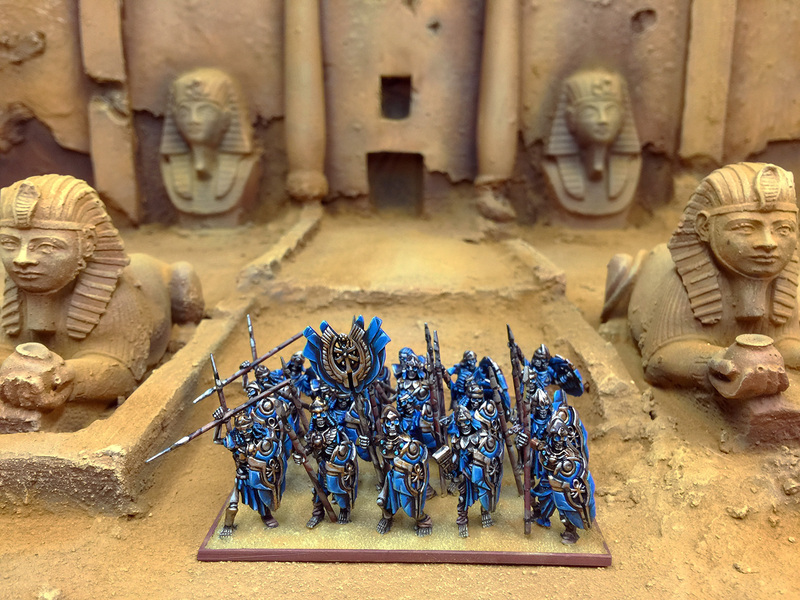 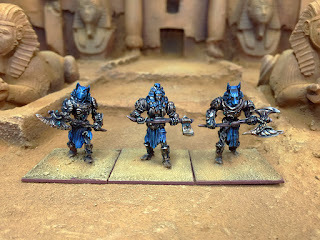 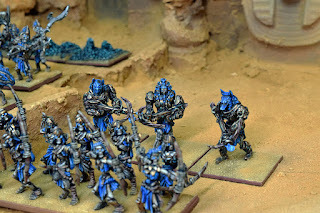 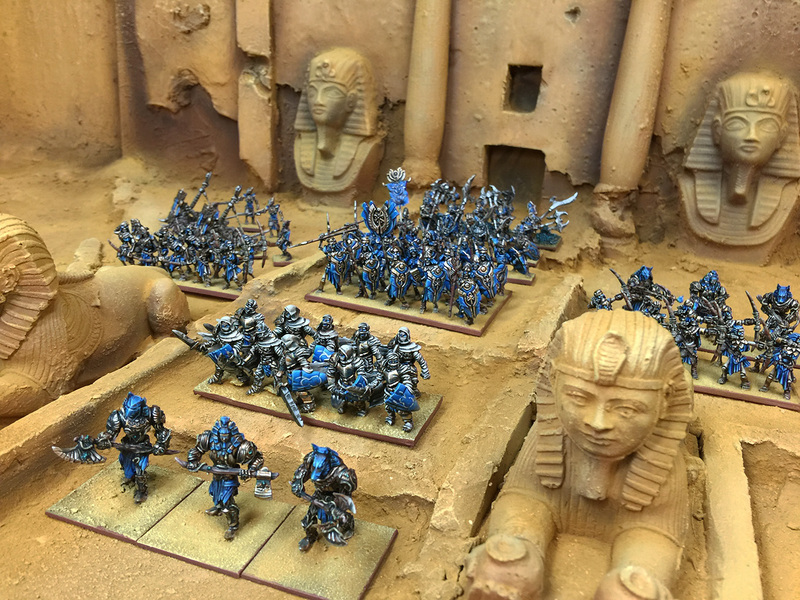 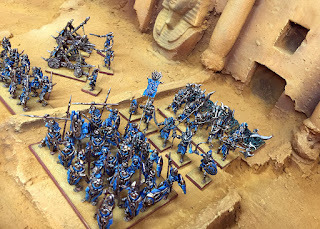 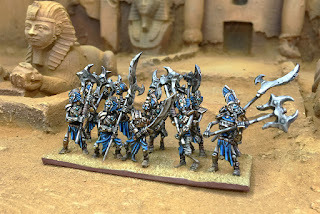 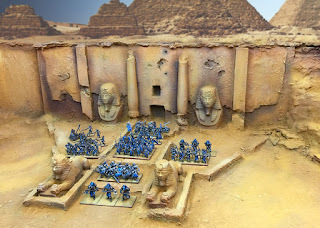 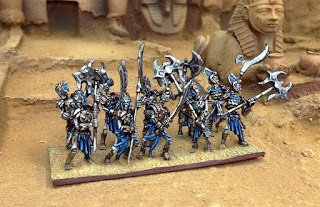 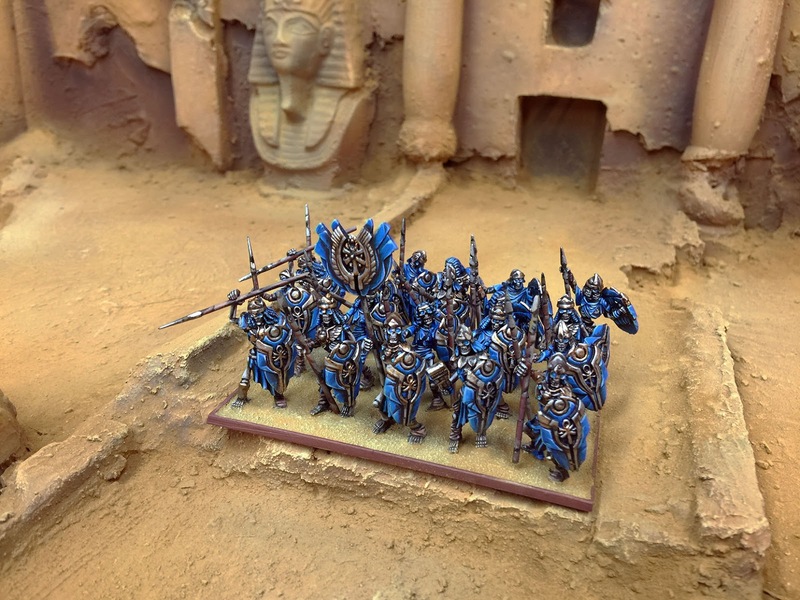 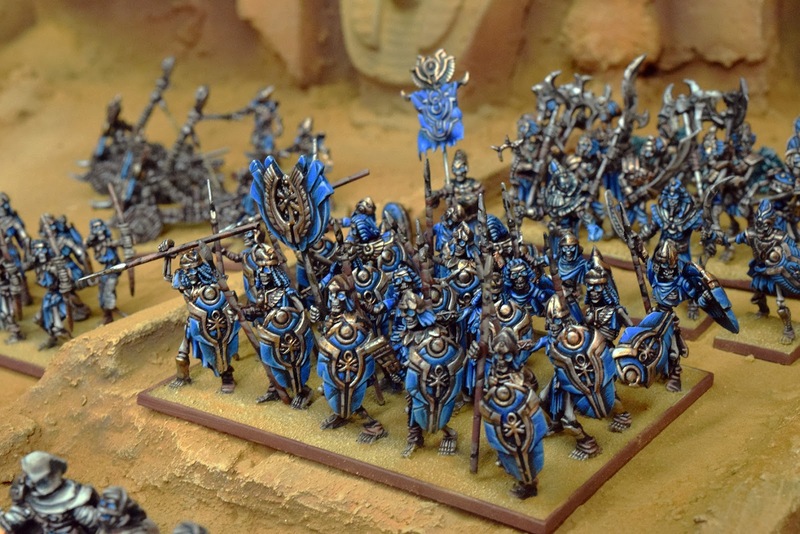 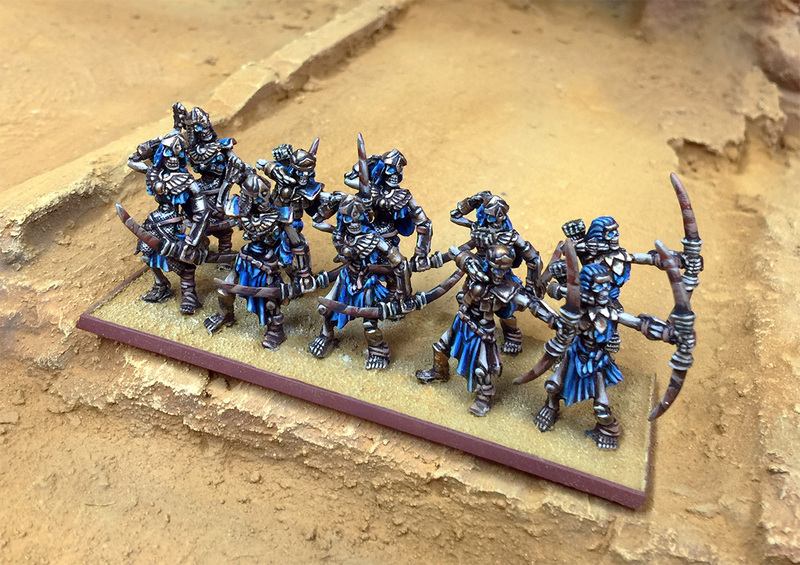 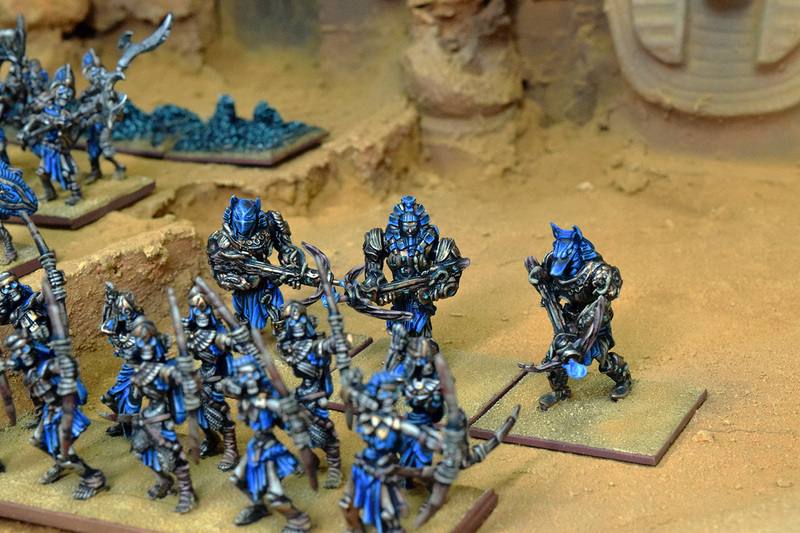 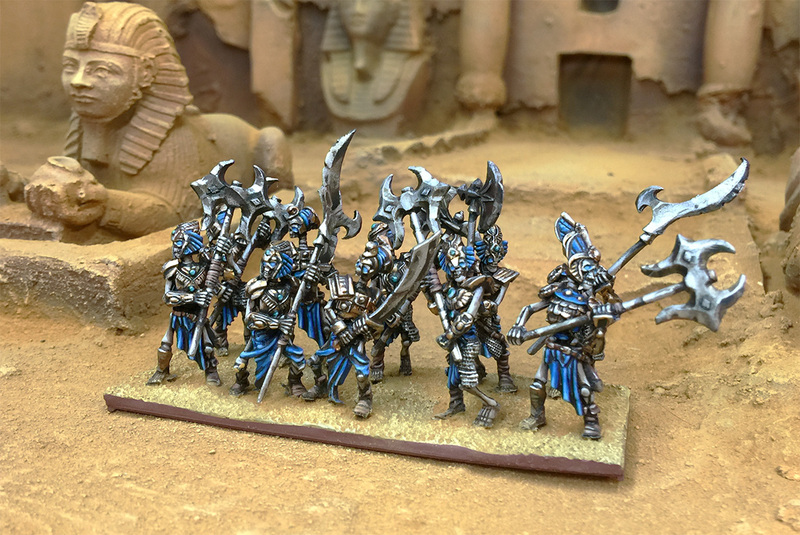 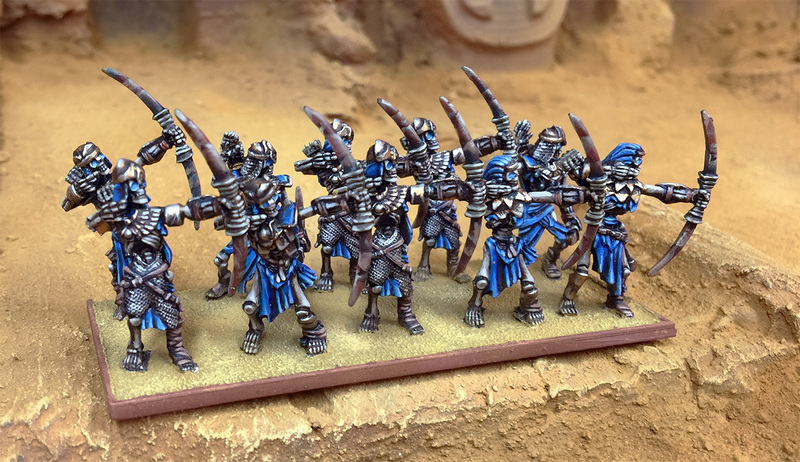 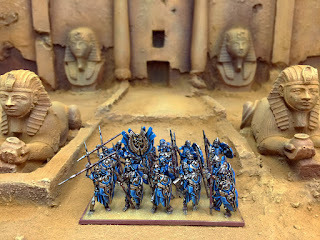 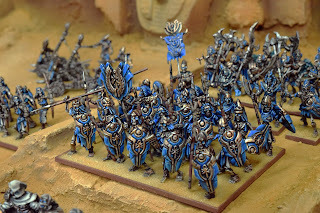 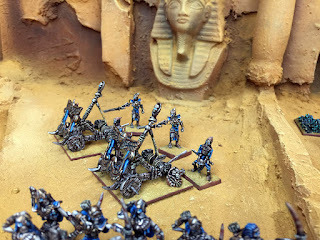 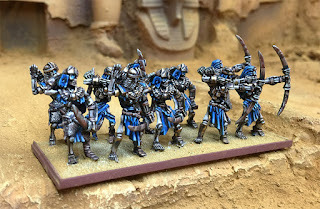 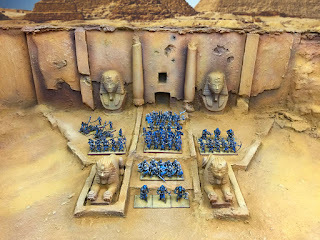 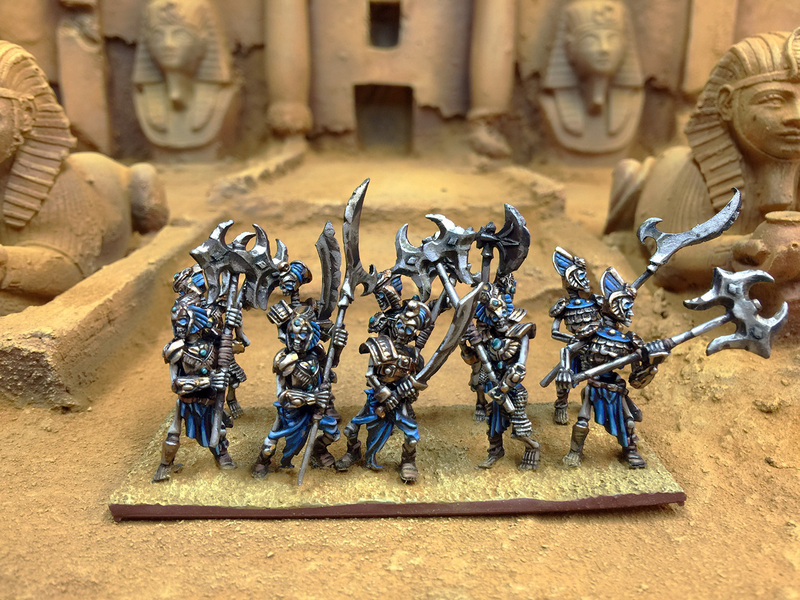 Some nice models and good options for anyone wanting this style of fantasy army. New backdrop as well. 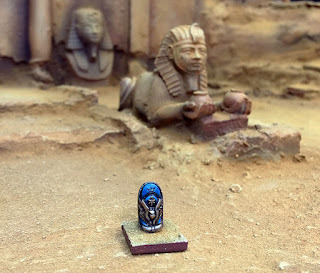 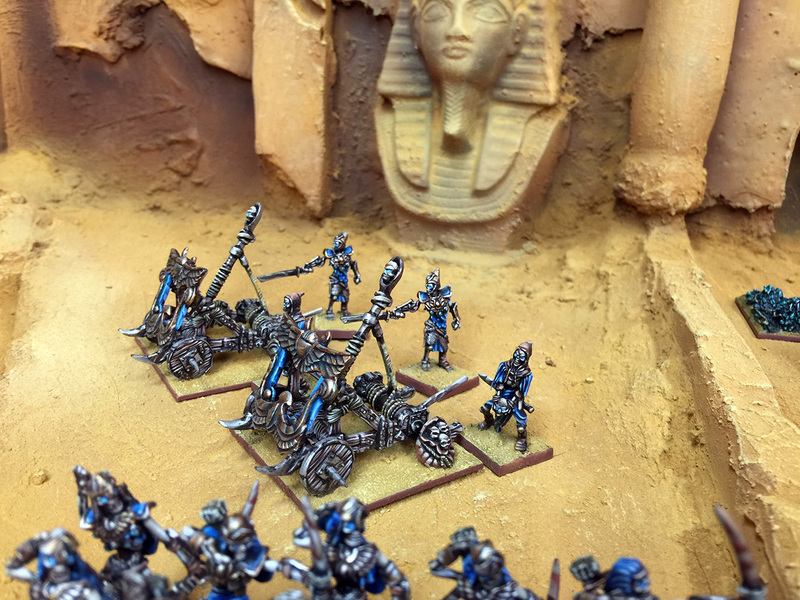 Needed something with a tomb theme and it will surely find plenty of use in the future as well. 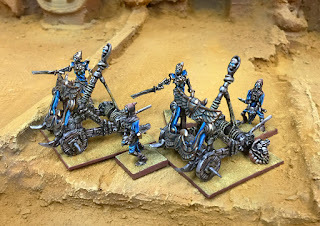 Loving the box frame base for these as I am gathering so many they have to be hung from the wall. 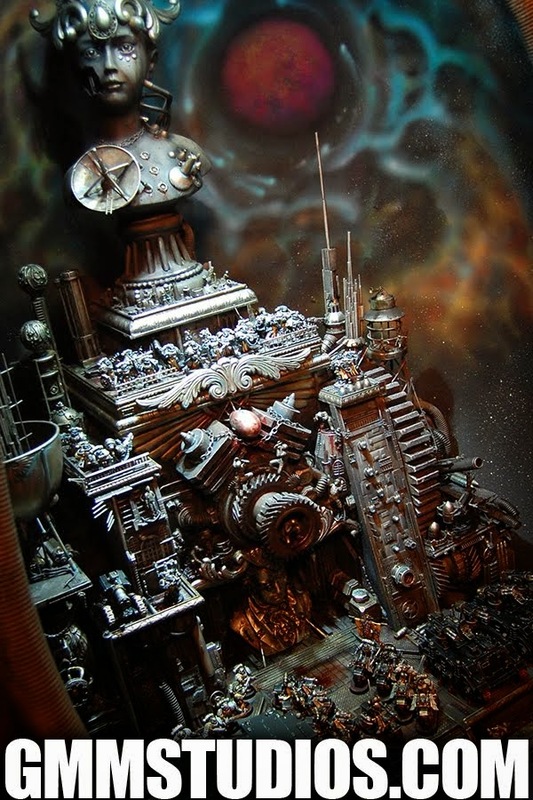 In the future will do a write up on it's building. 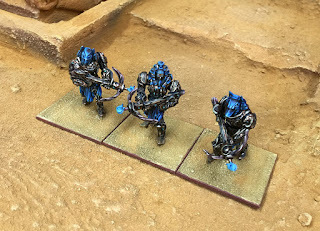 Up next a High Elf army, then straight into some Tau. 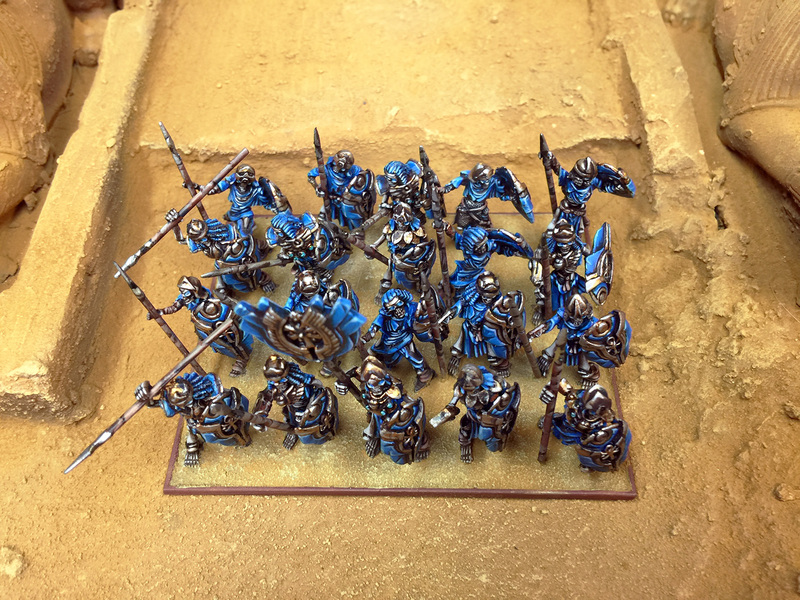 As the Royalettes said it's gonna be a blue, blue summer! Looking forward to it, and thanks for dropping in.